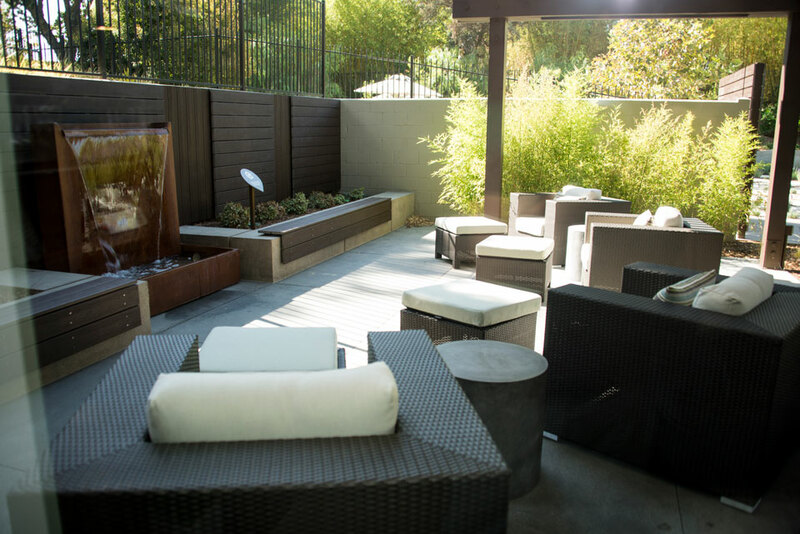 The Oasis Wellness Center offers a relaxing atmosphere for the CSUN community to unwind. Photo by Lee Choo. 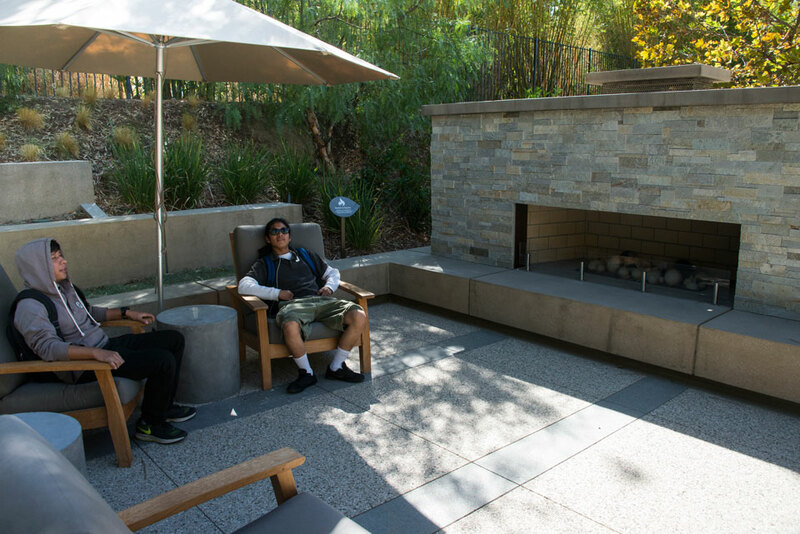 Multiple outside spaces allow students to relax in the sun or by a fire pit. Photo by David J. Hawkins. Oasis visitors can use the spaces to take naps, relax with friends or just take it easy at a quiet place. Photo by David J. Hawkins. The Southern California chapter of the American Society of Landscape Architects (ASLA) recognized California State University, Northridge’s Oasis Wellness Center with its Honor Award in the “Institutional Design” category, Oct. 6 at the Disney Grand Californian Hotel in Anaheim. The Oasis Wellness Center at CSUN’s University Student Union was designed by LPA Inc., a leading integrated design firm in California and Texas that spearheaded the architecture, interior design, landscape architecture and MEP (mechanical, electrical and plumbing) engineering for the 5,800-square-foot facility. The wellness center opened in 2015. LPA also has designed and worked on CSUN buildings such as the Student Recreation Center and the brand-new Extended University Commons. 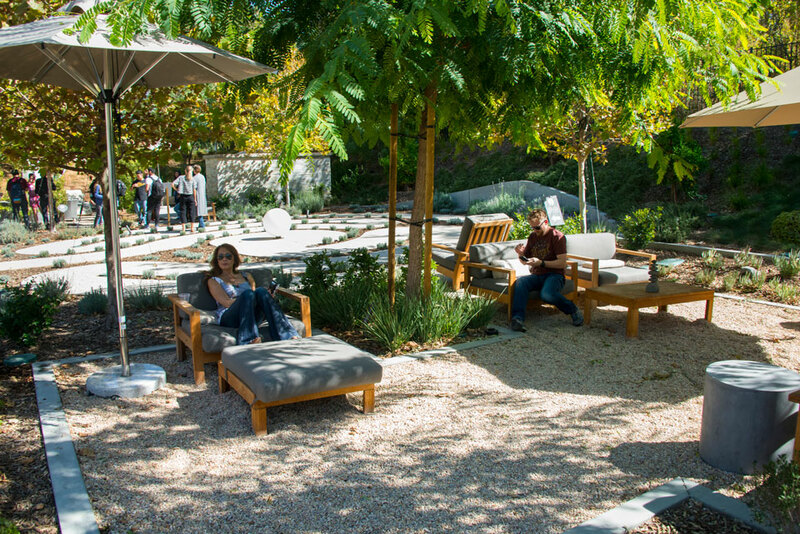 The theme for this year’s ASLA Quality of Life Awards was “celebrating the evolving vision of California landscapes.” The society noted the outstanding professionalism of LPA’s work at the Oasis.